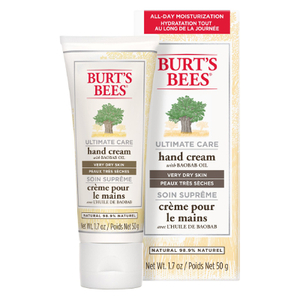 Penetrating botanical butters repair and protect rough, chapped hands. Super saturated with intensely moisturising cocoa butter and seasame oil, our lightweight moisturizer penetrates and softens the most challenging skin conditions. The soft thin skin on the back of the hands is constantly exposed to the elements and is prone to roughness and premature aging. Their Shea Butter Hand Repair Creme protects this delicate area from weather, reduces wrinkles, and soothes chapped skin.